Discussion in 'Announcements' started by Maggie, Sep 23, 2016. 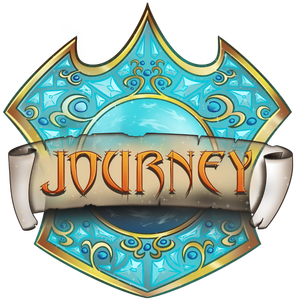 Once your launcher is opened, select the "PixPacks" tab and scroll down to the Journey Gaming PixPack! It has our logo on it and everything! Make sure to download it, as the more the downloads it gets, the higher up we go on the PixPack list! Here is a link to download the Pixelmon Launcher! Thanks everyone! You need to go to the pixelmon website, click downloads and get the beta launcher. Or, if you mean you have the beta launcher and that particular pixpack isn't there, scroll down. Is this available for Minecraft Launcher users? I think that's meant to be 1.7 and 1.10? As you can see, the instructions only work with the Pixelmon launcher, if other launchers could be used there are usually guides for those too in this sort of thread (because Maggie is wonderful like that, that should be a thing you know). Also, Minecraft launcher, not being for specifically Pixelmon, doesn't have pixpacks. 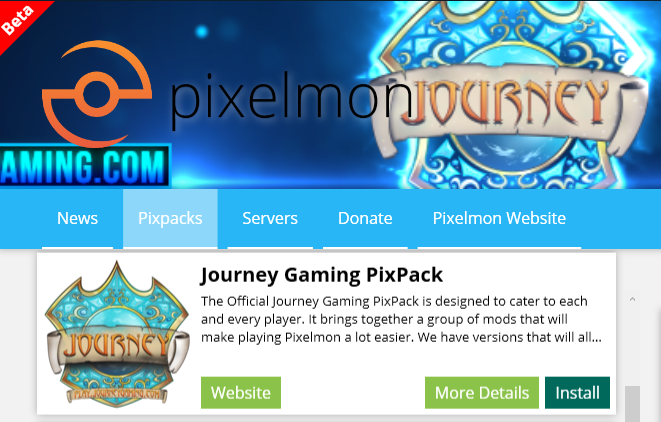 For those of you that use the Pixelmon Launcher, we have our very own PixPack! And here, "For those of you that use the Pixelmon Launcher" So no, unfortunately. However, I don't see why you couldn't find the listed mods and make a profile with them manually from the Minecraft launcher. If you do, you may want to skip the inventory tweaks mod as it kind of permanently locked my inventory.